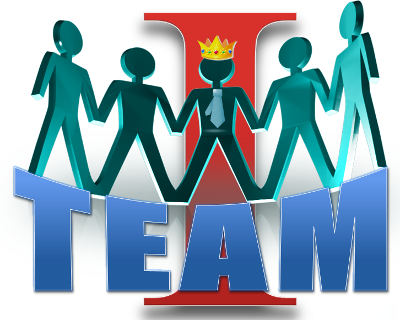 OK, so we've all heard it... there's no "I" in team. However, if you squint just right, and tilt your head a little to the left... you can see there is a "ME"... which doesn't leave any room for giving credit to you. Shuffling the letters a bit, you can get tea, meat, at, ma, am, mat, mate, tame, item, and so on... however, you're just shuffling the letters, and not adding value. Do you shuffle letters and take credit, or do you really add value? So, in this brief thought piece, please take some time and ask yourself one simple questions? Are you a team player, or do you shuffle letters that don't add value and then take the credit? I believe humility is one thing that's very undervalued and often overlooked in our society. Leaders lead, they don't focus on constant jockeying to make themselves look better for their next opportunity. That's self promotion and salesmanship, and it often can come at the expense of their team. Yes, I hear the chuckles... if you don't promote yourself, then who will promote you? My attitude has always been, if your team's doing a great job... then the entire team should get recognized for their contributions. You'll be recognized for your contributions, if your contributions really add value. That recognition may come from above, below, or from a combination of areas. Success stands out from the crowd, or at least it should. We become stronger leaders by promoting the "true" success of our teams, the "business value" that they add to your organization, and giving credit where it is due. When we lead by example, they we encourage our team to reflect our attitude, ethics, sense of shared responsibility, ownership, and collaboration across the enterprise. Encourage your team to work smarter, not harder... take measured risks, and publicly give the team the credit they deserve. Add value by removing obstacles, coordinating across the enterprise, keeping a pulse on your projects,... roll up your sleeves, and really add value. You succeed and fail as a team. As a leader, sometimes we need to take responsibility for a failure to lead. That doesn't mean protecting incompetence, that's a different subject, and outside of the scope of this brief piece. Taking responsibility means that you're willing to take measured risks as part of a continuous improvement process. Your staff should be confident that you support them. If they follow best practices, yet misjudge mitigation of a risk from the introduction of changes in your product or processes, they should be confident that they aren't going to become a sacrificial lamb. Risk should be managed and mitigated, not completely avoided. You should publicly acknowledge any incident; explain clearly what happened, and how you plan to mitigate this risk to prevent a recurrence of a similar event in the future. Let's go back to business value. I like to use the perspective, as draconian as it sounds, if I owned the company, would I be willing to pay another staffer out of my own pocket for doing EVERYTHING that I'm doing? What does the company get back? If I wouldn't pay me, then why am I doing it? (And if you're honest, you already know you have some of these activities, we all have them.) You wouldn't pay a lawn-care company a million dollars to mow your one acre lawn, no matter how good it looks. You'd pay the market rate, and expect a well manicured lawn. You wouldn't want the workers swimming in your pool while they are on the clock, surfing on your computer, or any other of other things that don't improve the looks of your lawn. There are activities that add value such as team building, because they teach staff to be more productive as a group than they could be as individual workers. I'm definitely not being critical of these type of activities. I'm also not talking about professional development, research, and networking. These are all highly valuable activities that lead to improved skills, processes, methods, and communications. I'm talking about activities that really add no value. Finally, leaders try to hire people who are the most qualified for their open positions, are capable, share their approach to team work, have the same level of commitment, and take pride in their contributions. Leaders focus on ways to provide stretch opportunities, give frequent constructive feedback on opportunities for improvement, and provide examples where staff are leveraging their strengths. Leaders challenge their team to excel. So in summary, here's a few thoughts. Lead by example, not by words. Look for continuous improvement and innovate, while mitigating risks. When you fail to mitigate properly, accept responsibility, and use it as a learning opportunity. Recruit, hire, develop, and retain the best staff. Focus on continuous process improvement and employee development. That's it for this brief piece. Hopefully it causes you to think critically in one of the areas I've covered. Ask yourself, are you adding value in all that you do for your team? No squinting is required - approach this with your eyes wide open... be critical... and reflective. Do you see an I, me, or a team?